Yesterday we picked up our double stroller and today it made its big debut with a first outing to the park. 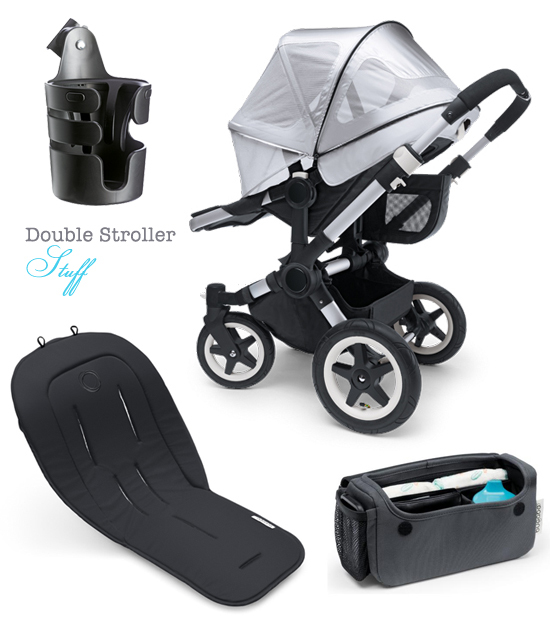 Choosing a double stroller to suit our lifestyle was a real process (you can see our stroller shortlist here and read about each of the options here) but I hope we made the right decision. In the end my husband was more into the Baby Jogger City Select and I was more into the Bugaboo Donkey and we ended up going with the Donkey. 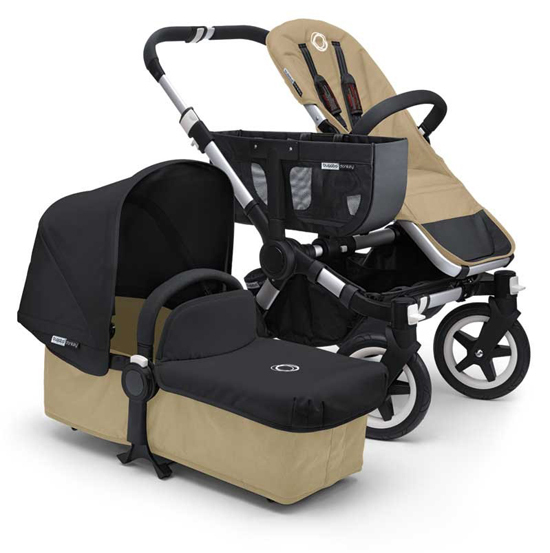 We chose bases in “sand” and sun canopies and top fabric for the bassinet in black. And as for accessories – we got an organizer, a cup holder, breezy sun canopies and black seat liners. It took ages (but was pretty straightforward) putting it all together yesterday and before we went to bed we crept out into the stairwell and held our breath as Sumit stepped into the elevator (smallest elevator in the universe) with the bassinet. It fits. Sort of. If we angle it just a little. Today Sumit lugged the stroller down all four flights of stairs and we took our maiden walk to the park!